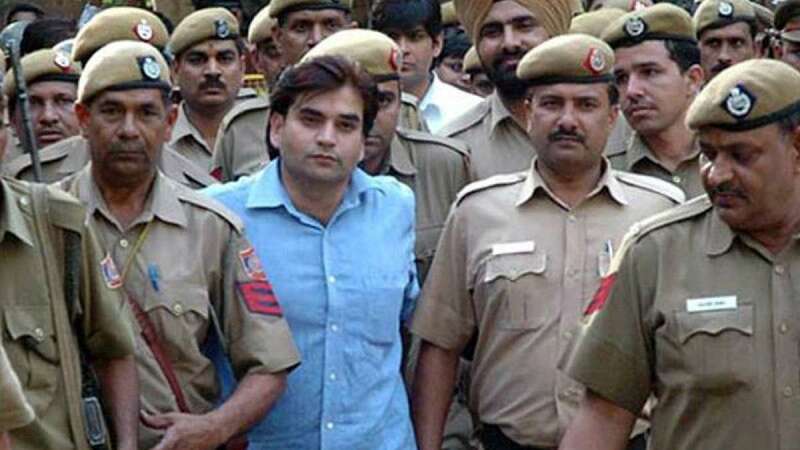 New Delhi : Supreme Court on Monday sentenced 25 years of jail for Vikas Yadav and his cousin Vishal, convicts in the 2002 Nitish Katara murder case. The SC's decision gave the Yadav cousins a break by allowing their sentences to run concurrently rather than consecutively. That means instead of spending 30 years in jail, they will be behind bars for just 25 years. Sukhdev Pehalwan, the third convict in the case has been sentenced to 20 years in jail. # SC on Monday pronounced a verdict on a plea by the Yadavs against Delhi High Court order. # The plea had asked an extension of five years in their jail term for allegedly destroying evidence. # The Yadavs have been convicted for the 2002 Nitish Katara murder case. # A trial court convicted them of the murder in 2008, and the conviction was upheld by the Delhi high Court in April 2014. # Delhi High Court had termed the case as honour killing, which was done in a very "carefully planned and premeditated" manner with "extreme vengeance". # On Monday, the Supreme Court said the sentences would now run concurrently. Vikas Yadav is a son of criminal politician D P Yadav, Vishal Yadav is his cousin. What is Nitish Katara Murder case? The Yadav brothers had abducted 25-year-old businessman Nitish Katara from a marriage party in Ghaziabad. They murdered him for his alleged affair with Vikas' sister Bharti. In 2008, both of them were convicted by a trial court.